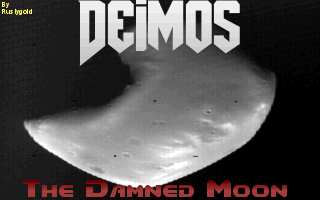 ZDoom • View topic - Deimos: The Damned Moon """RELEASED"""
After another year of work I am finally able to say I have finished the second episode! As well as updated the first to be more on par with the second episode. Last edited by Rustygold on Wed Apr 10, 2019 3:47 pm, edited 4 times in total. 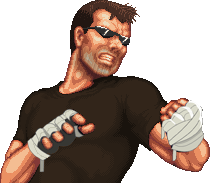 Me love them some classic 320x200 goodness. If this goes as well as episode 1 did then episode 3 will come out. I'm not sure about episode 4. Going to watch this topic with keen interest here as well.. Finished the inside of the main base, Some out door pics and the APC. You're on a roll but as I've mentioned before, don't overdo yourself as you don't want to be burned out. Should I change the spot where the "By Rustygold" text is? I love it! And it's fine. Some progress on E2M3 and the return of the barrels! I know It's been awhile but I've posted alot of my progress on Doomworld fourms for those of duel memberships. It would probably be a bit cleaner if you hosted your screenshots externally instead of as file attachments; then you'd be able to take them at higher resolutions and fit more than three of them in a post.